In a poem written around 1892, American poet Emily Dickinson described the wonder of the human brain. Her verses express a sense of awe, considering the brain’s marvellous capacities of thought and creativity. The main organ of the human nervous system, the brain manages most of our bodies’ activities and processes information received from both outside and inside the body and is the very seat of our emotions and cognitive abilities, including thought, long- and short-term memory, and decision-making. In terms of dimensions, the human brain isn’t the largest. Of all mammals, the sperm whale — an underwater denizen weighing an impressive 35–45 tons — is known to have the biggest brain. But, of all the animals on Earth, human brains have the largest number of neurons, which are specialized cells that store and transmit information by electrical and chemical signals. 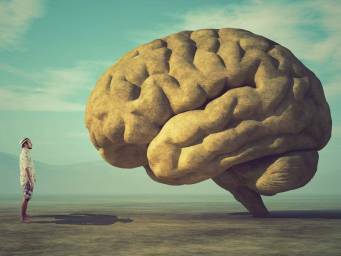 Traditionally, it has been said that the human brain contains approximately 100 billion neurons, but recent investigations have questioned the veracity of that number. Instead, Brazilian neuroscientist Suzana Herculano-Houzel has discovered — by using a method that required liquefying donated human brains and turning them into a clear solution — that the number is closer to 86 billion neurons. What makes our brains the way they are? However, it turns out that this isn’t true. Researcher Sandrine Thuret, from King’s College London in the United Kingdom, hasexplained that the hippocampus is a crucial part in the adult brain in terms of generating new cells. According to him, in delivering perceptions of things to our consciousness, our brains often make what you might call “informed guesses,” based on how it “expects” things to be. This explains the uncanny effect of many optical illusions, including the now-notorious “blue and black, or white and gold dress,” when, depending on how we think the light in the picture is, we may see a different color combination. Below, you can watch Prof. Seth’s 2017 TED talk. He explains how our brains make sense of the world around us — and within us. Despite the many advances in research and clinical technology, a lot of questions about the brain remain unanswered. For example, we still don’t quite understand how complex information is processed in the brain. Every day, we take who we are, what we perceive, and what we are able to do for granted, without sparing so much as a thought for the marvellous organ that helps to make it all possible. So, the next time you pick a flower and smell it or rummage for the ripest apple at the market, take a moment to acknowledge how truly wonderful each and every one of your smallest actions is.